Little campers can “rough it” wherever, whenever! 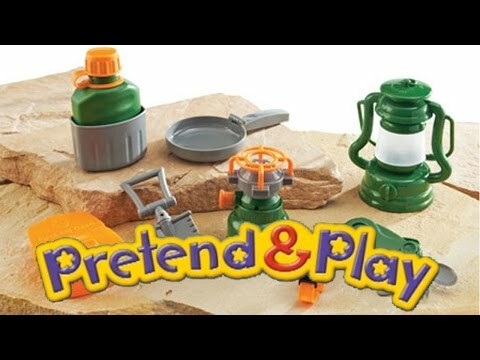 Let’s go camping with a unique battery powered pretend stove and lantern that make play campsites almost like the real thing. Perfect for independent or collaborative play. Camp set provides a realistic play experience anytime; great for indoors or out! Invites kids to participate in the “grown-up” tasks that are part of family camping trips.